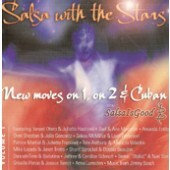 SalsaIsGood is lead by Fabio Boschetti. Fabio has danced salsa since late 98. Because he lives in Perth in the extremely isolated Western Australia, he made several trips just to learn more about dance. 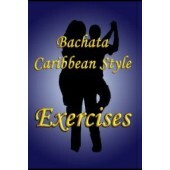 These include Costa Rica, Curacao, Cuba, Puerto Rico, Dominican Republic, LA and NY. He took many other classes worldwide during his business trips. 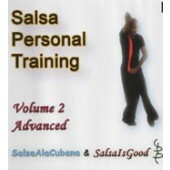 He taught salsa for 3 years, running what at the time was the most successful course in town. In 2002 he 'retired' from teaching, partly because of his frequent work related trips, partly to concentrate on his video and music production. A highlight in his career as a dancer was to be invited as an instructor at the 2002 East Coast World salsa congress in New York. He brings into his activities three different types of expertise, as a semi professional dancer and musician and as a professional mathematician. The relation between music and dance is obvious: dancing would not exist without music. But in salsa this is even stronger, since here the opposite is probably also true. He believes believe that a salsa dancer with a superficial understanding of the music is incomplete, as is a salsa musician who has never danced. Maths enters into this since it allows him to see structure and patterns both in the dance and in the music. Seeing 'structure' in dance means analyzing dance patters, breaking them down, understanding which can be combined and which can not. He says it helps him to memorize figures and enabes him to pick up a figure by just watching someone else perform it once. 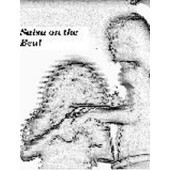 Ultimately, it makes it possible for him to develop a salsa figure in his head before even dancing it, it is crucial to improvisation. 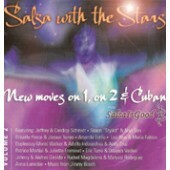 SalsaIsGood Products are available on Zone Free DVD. IMPORTANT: SalsaIsGood DVDs are professionally produced, but they don't come packed in a fancy box with inlay.